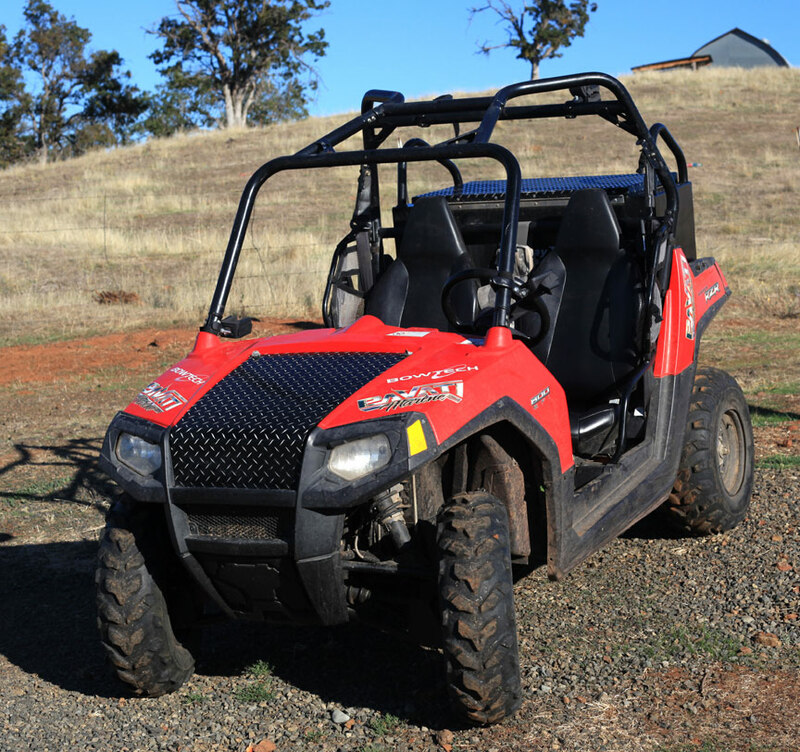 Four Wheelers, ATV, UTV, Polaris, Rhino, Honda, Yamaha, Artic Cat. We build Tool Boxes for all the above. 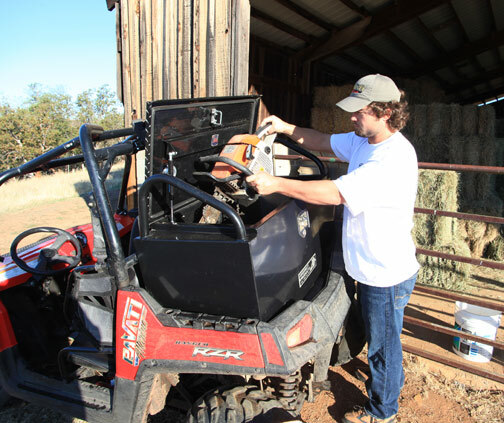 Built to use with just about any kind of machine you can put it on the ATV box gives you a lockable trunk that holds a lot of stuff. 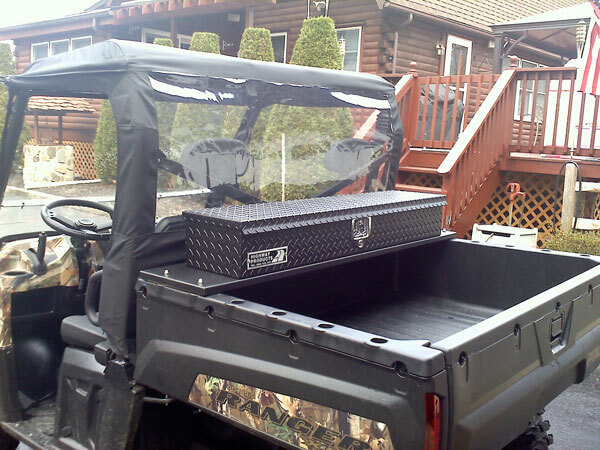 Made from the same materials we build our semi truck tool boxes with. 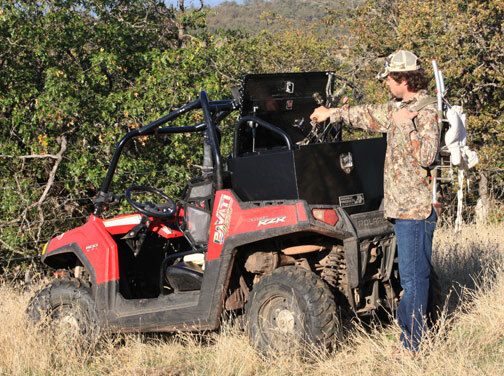 Carry your hunting gear, lunch, decoys, flash lights, helmets. Lock it up when you go into the woods. 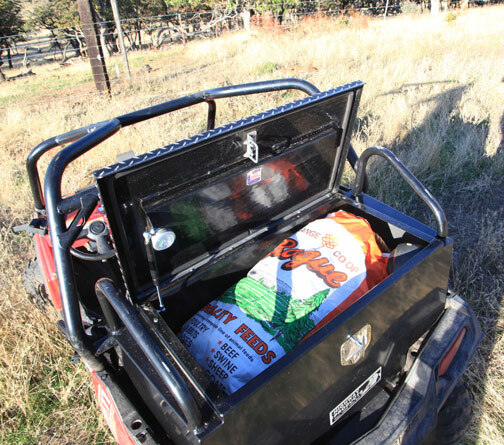 Carry feed to your cattle or hunting areas. 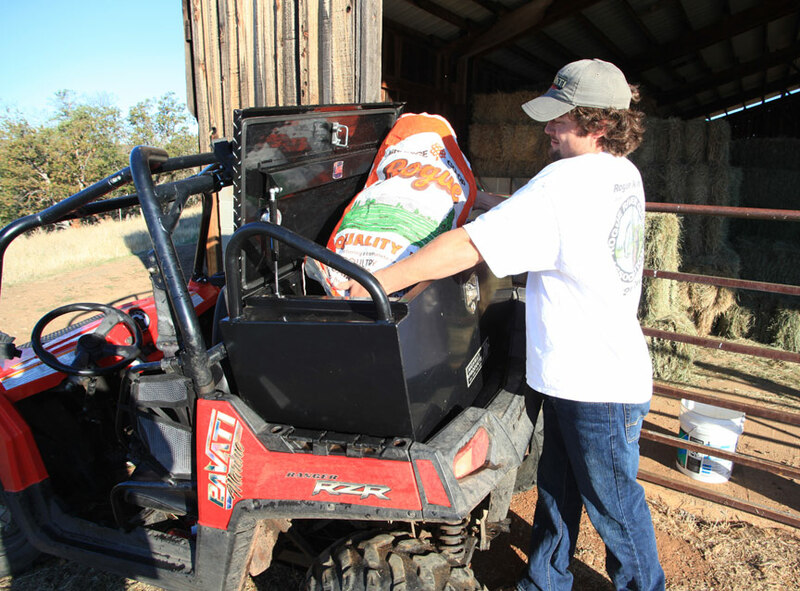 Chuck demonstrates how he carries his Stihl™ 038 chainsaw with a 24 inch bar in the back of his Polaris™ Razor with fuel. 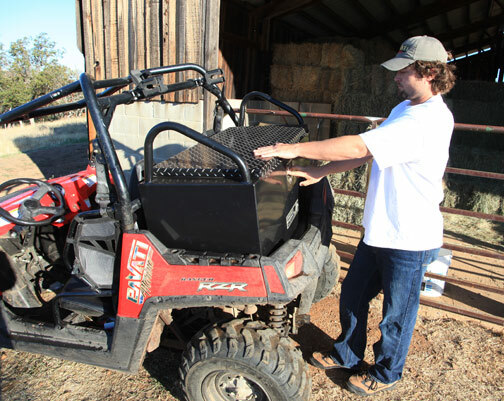 With the handle bars on top of the ATV Box you can tie more cargo down. 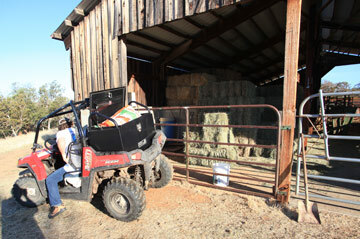 A couple more bags of feed, an animal you harvest, etc. 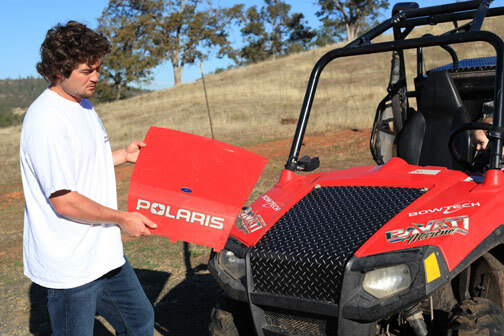 Add a little pi zazz to your Razor with a Highway Products 100% aluminum diamond plate hood. This one has been powder-coated with exposed diamonds. Order it with no diamonds, polished stainless, or a different color. Call for pricing. 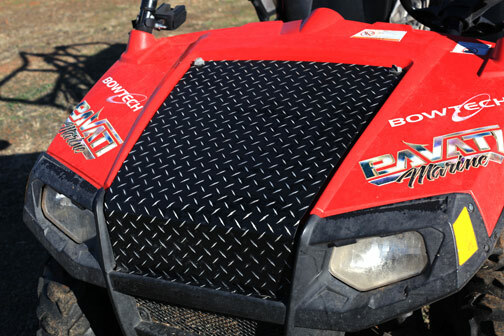 The Diamond plate hood fits on just like the factory model in a couple minutes. •Get what you want, that works for you. • You pick the size. Carries what you need. • Factory direct = best price. • No Charge for a quote. • Call us, we're ready when you are. 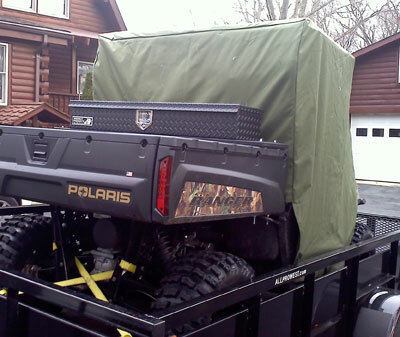 Our customer ordered this tool box just for his Polaris Ranger. 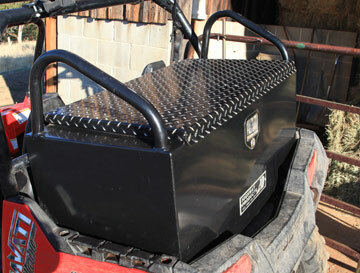 It's made of rugged diamond plate aluminum with the same security Tee-Lock we use on our semi truck tool boxes.